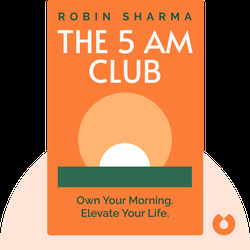 Through the enchanting story of an entrepreneur, an artist, and their eccentric billionaire mentor, The 5 AM Club (2018) shows how embracing a revolutionary morning routine can deliver epic results. 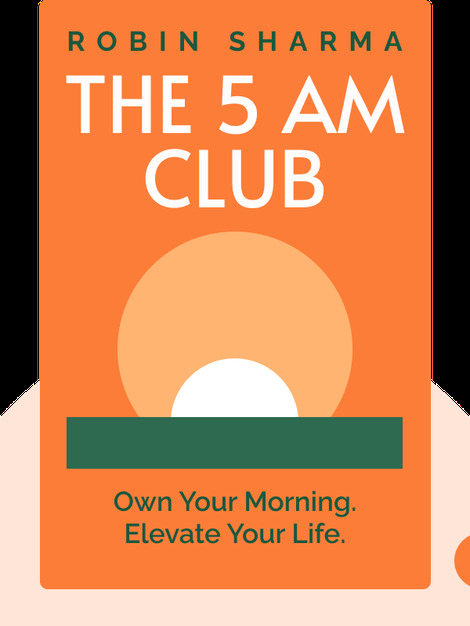 It explains how you can use the first hour of your day to drive personal growth and get the most out of life. Robin Sharma is one of the world’s top leadership gurus and the best-selling author of The Monk Who Sold His Ferrari. He has helped millions of people to become better leaders, improve their productivity and lead better lives.